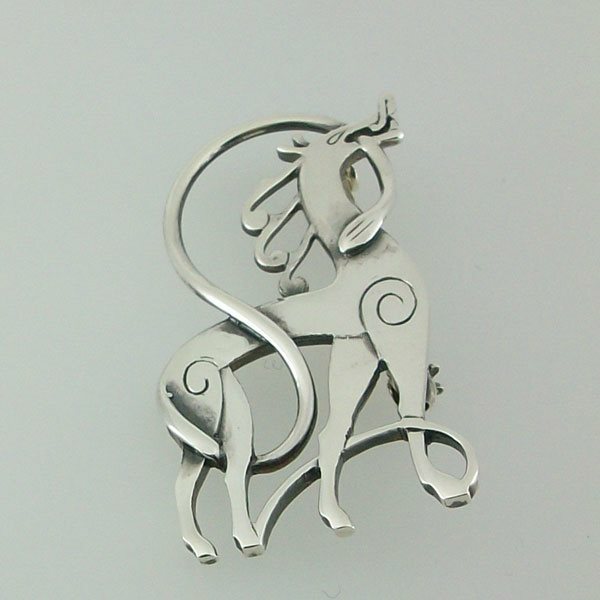 This brooch/kiltpin is named after the Roman goddess of horses. Handcrafted in silver designed by John M Hart. Supplied with a presentation case.